Our Paris-Roubaix is a full day escorted trip starting in Paris that will follow the race right through to the finish at Roubaix velodrome. Along the way, you’ll enjoy a picnic lunch and see the race as it makes it way over several sections of pavé. 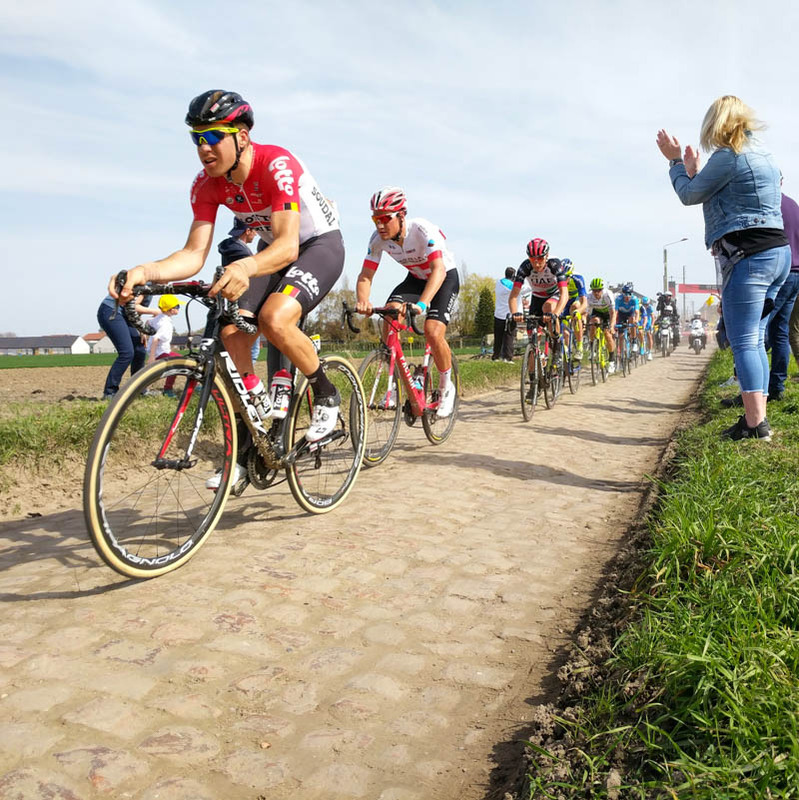 This is a unique opportunity to see up close the difficult conditions that make Paris-Roubaix a unique race and possibly the toughest one day race in the world. At the end of the day after we’ve seen the race winner claim victory in the Roubaix velodrome, we will transfer you to Lille TGV station where you can travel back to Paris having had the experience of a lifetime. Today our trip starts as we will collect you at 7.45am at the Gare du Nord it the lobby of the Mercure Hotel Terminus 21. Please make sure you pack some warm clothing including some rain gear and umbrella as the weather in Northern France can be very cold this time of year. From Paris, it is approximately 1 hour and 20 minutes to reach Compiègne where we will see the riders prepare for the race start. After the start, we will drive to the cobblestone area at Inchy where we will see the race pass over along and difficult section of pavé (cobblestones), as well as enjoy our picnic lunch. Through the afternoon we will visit several sections of pave along the route where we’ll see up close to the difficult conditions that take their toll on the riders as the day wears on. Final times to be confirmed when race schedule is released. We will head straight to the cobblestone area at Inchy where will see the race pass over a long and difficult section of pavé (cobblestones), as well as enjoy our picnic lunch. In between the different stops, we will follow the race on TV in our vehicles and we will provide a picnic lunch with drinks and snacks during the day. From Orchies we will head to the Roubaix Velodrome to wait the arrival of the 2019 winner. The winning rider will enter Roubaix Velodrome between 4.40pm and 5.25pm depending on the average speed for the day. After the race finishes we will visit the finish area and your day at Paris-Roubaix comes to an end. We will transfer you to Lille Europe rail station, arriving between 7.00pm and 7.30pm. If booking rail back to Paris we recommend booking no earlier than 8.00pm. Lille Europe rail station is a large international rail station with shops and cafés should you wish to eat before your train back to Paris this evening.